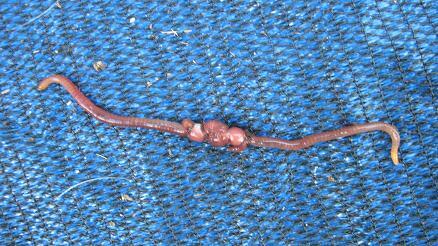 Worms clumped together, not because being food there, or it being cold…? While transferring worms to the new box, I found them all together in a corner up against the bottom side of the box. It wasn’t particularly a place where I had left food, and it is inside during autumn, admittedly the heating was off for 2 weeks, but it could have gotten colder than 15 degrees Celsius. They could also have been there before the 2 weeks. I haven’t known specifically where they are till now. Is it because there are too many castings in the soil? How can one tell where to change the soil? Hello Marischka, I suspect that you are having compost worms "Eisenia fetida) in your bin, which are the most commonly used worms in worm farms around the world! 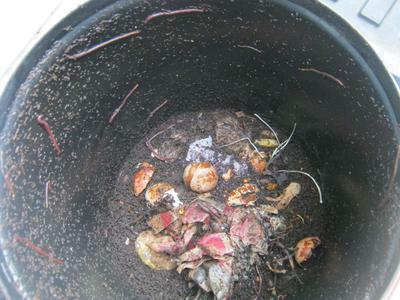 The good news is that your worms are still alive.Having said this having worms clumping together in one particular spot of a worm bin is usually never a good sign and a clear indication that the conditions inside the bin are not as they should be. Happy worms will roam around in their worm bin usually close the surface, consume food, digest it and deposit it on the surface of the worm bedding. Without having seen a picture of your worm bin, the state that the worm bedding is in and your worms it is not that easy to conclude what the cause for their behaviour is. 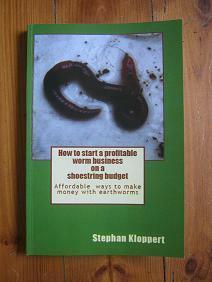 However, apart from the fact that your worms are not happy there are still a few facts we can establish. 1. 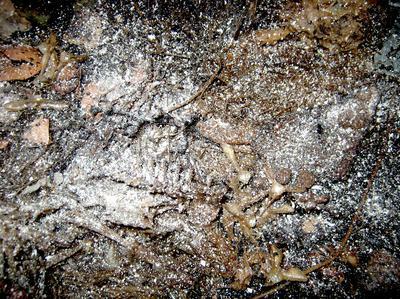 Compost worms can easily handle temperatures between 5 and 15 degrees Celsius. So as long as the temperatures of the worm bedding didn't fall below 5 degrees the worms should have become slightly sluggish but not in any danger to perish. 2. If worms want to escape from cold outside temperatures they would usually not huddle at the bottom in one corner (unless there is a heatsource close by that is making this part of the worm bin warmer than the rest of it. If worms want to escape from hot or cold temperatures in their worm bin they will usually crawl towards the center of their bedding which acts as an insulation material against the outside and should be the warmest place inside the worm farm. farms where the worm castings are only harvested once a year after they reached a height of nearly a one meter / 3 feet with only a thin layer of worm food on the surface of their worm farm. So neither the climate nor the possible abundance of worm castings should have been the cause for all the worms huddling together in one bottom corner of your worm bin. Common possible reasons for worms to either leave or trying to leave the worm bin are over acidity of the worm bedding and worm food. However this condition usually tempts the worms to come to the surface of the worm bin, cling to the sides of the bin above the bedding and to any space close to the lid they can fit in. If you want to counteract acidity in your worm bin, sprinkle some agricultural lime or ground eggshells over the surface of the worm bin which will counteract the acids in the materials. Just be sure to do this in moderation and don't throw to much agricultural lime on the worm bedding. 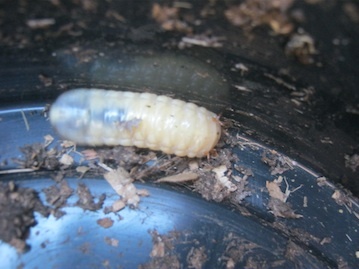 One common reason for worms to crawl to the bottom of their worm bin is the presence of black soldier fly maggots in their bin. 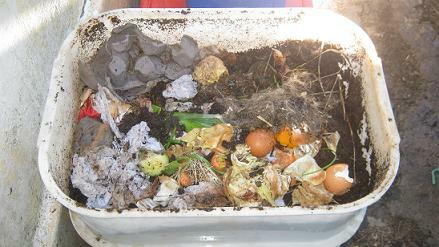 The worms don't like to be close to them and although the maggots actually are not known to attack the worms and are in fact recycling organic materials themselves they can cause a worms to escape into the lower parts of their bin and if possible find a way out there through the drainage holes. A worm farm that has been invaded by BSF maggots will become soggy and smelly after just a short while and will in most cases to be started from scratch with a batch of new worms. So I suggest you check for the presence of BSF maggots in your worm bin asap. The probably best thing you can to do right now to save your worms is to swiftly start your new bin with fresh worm bedding find your worms and place them into the new worm bin. 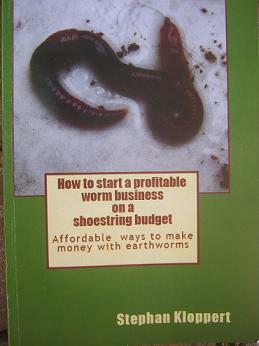 You can find articles about setting up a worm bin with good worm bedding in the beginners section of www.worm-composting-help.com. If you have any pictures to share with me that would certainly help. I wish you lots of success and am looking forward to hear from you with an update. Comments for Worms clumped together at the bottom of my worm bin? You are welcome Marischka. 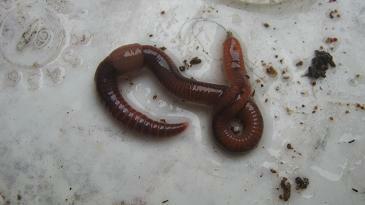 Seeing some pictures and getting an update should help to get to the bottom of your worm bin problem. That's very comprehensive and helpful. 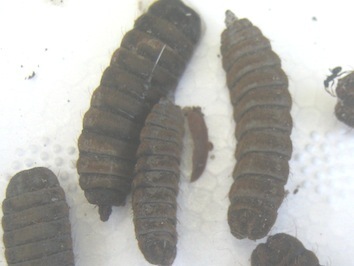 I've googled Black Soldier fly maggots and they're not present. I'll respond including photos soon.